Steel Grey is a Natural material. 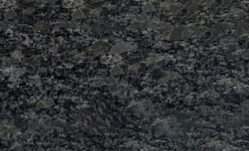 Steel Grey is a Medium priced Granite stone. Steel Grey is a great choice as it complements most designs of kitchens, with its pearlescent looking effect. The back end of 2014 this material was available in a different finish. Its called Carezza, this is a finish which is part Honed and part Polished. The look is amazing. Please ask to see it if we have any in stock. Steel Grey is a Natural Granite from India, Landford Stone offer this type of stone in a variety of thicknesses and finishes. Steel Grey is a Medium priced stone and will look incredible in your home!